Earlier this week, IntelliGenesis LLC announced its strategic partnership with CYBATI in the creation of CybatiWorks, a hands-on cybersecurity platform. As a kick-off to the partnership, both companies are attending the DHS Industrial Control Systems Joint Working Group (ICSJWG) this week in Cincinnati, OH. The ICSJWG is organized by the DHS National Cybersecurity and Communication Integration Center and its purpose is to facilitate information sharing to help reduce the risk to the nation’s industrial control systems. 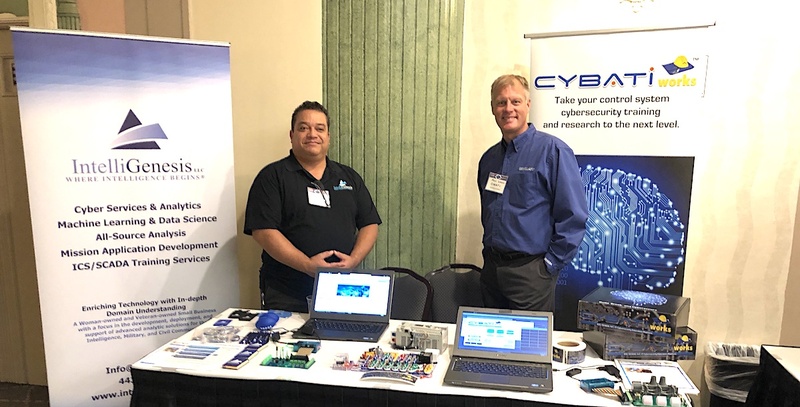 CybatiWorks is a cybersecurity educational platform and training course that walks participants through building, breaking, and securing critical infrastructure control systems using hands-on models. Participants are taken through several modules to learn about control system logic, systems, attacks, and defenses. As a classified training partner for the platform, IntelliGenesis brings more than 10 years of Intelligence Community experience to the partnership, opening doors for the program. “I am very excited to now include the ability for CybatiWorks to be used in classified training,” said Matthew Luallen, Executive Inventor at CYBATI. The partnership will also serve to broaden the expertise of IntelliGenesis. “We are excited to expand our service base and training offerings alongside our experienced industry partner,” commented Angie Lienert, CEO of IntelliGenesis LLC. Interested in learning more about the platform, the upcoming 2018 CybatiWorks users and training event in November, and onDemand training? Visit https://cybati.org and stay tuned for more news and details on the IG blog.